South Australia's Kyle Chalmers should now have convinced the world never to doubt his ability to rise to the occasion even after an apparent setback. 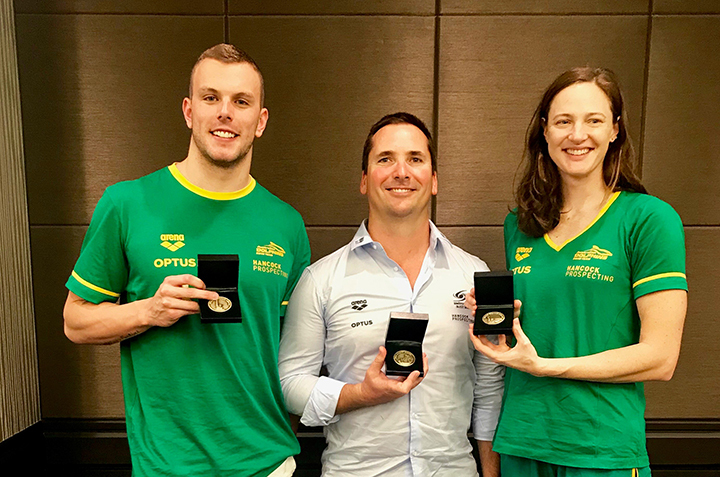 Chalmers again made something out of a potentially tough position to grab the 100m free gold medal at the Pan Pacific Swimming Championship in Tokyo with a barnstorming finish - similar to his sensational finish to take the 100m gold at the Rio Olympics. Adding to the intrigue Chalmers qualified fourth fastest for the 100m Pan Pac event, while not even making the final of his other main individual event the 200m free. But the Australian and SASI icon simply kept a positive mindset and was able to regroup quickly after the 200m disappointment. Facing a tall order in the 100m final Chalmers turned for home in last place but stormed home to reel in world and US champ Caeleb Dressel to hit the line on 48 seconds flat. Australia's Jack Cartwright also had a race to remember to finish tied with Dressel on 48.22 to snare a silver medal. A pleased Chalmers said his big finish had given him confidence that he could handle the 100m and 200m at a big meet from now on. "I felt strong in the last 10m which is probably the thing I have lacked in the past 12 months - that finish," Chalmers said. "To do that I felt like I proved to myself that I can do the 100m and 200m." Chalmers also was a part of the Australian team which won silver in the 4X200m, while the Australian team also took silver in the 4X100m when it was elevated from bronze to silver after the US was stripped of gold for racing out of its nominated order. Chalmers was the only SASI athlete on the Australian team.